"High", of course, is a relative concept: This article about the booming translation market in Shangai, from the Shanghai Daily, says that "While many unqualified translators are over-paid, some real good translation and interpretation professionals are under-paid". The article goes on to say that the officially suggested guidelines for the pay of non-professional Chinese-English translators indicate 120 yuan ($ 14.80) for 1,000 Chinese characters, but that actual rates range from 30 through 250 yuan. 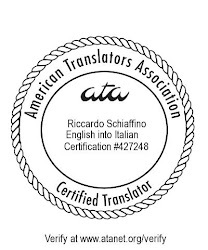 "Many employers don't have any idea about what a qualified translator is"
"...some employers don't care about the translation quality at all"
"...unqualified translators [...] take the position and [this] leads to unwarranted pricing"
Although the title of the article says that unqualified translators earn good money, what the article suggests, at least to me, is that, in China as elsewhere, unqualified translators willing to work for peanuts depress the market for the rest of us. Good translators are worth their weight in gold, particularly good Chinese-English translators, which are indeed rare. As a lawyer, I simply cannot afford anything else.